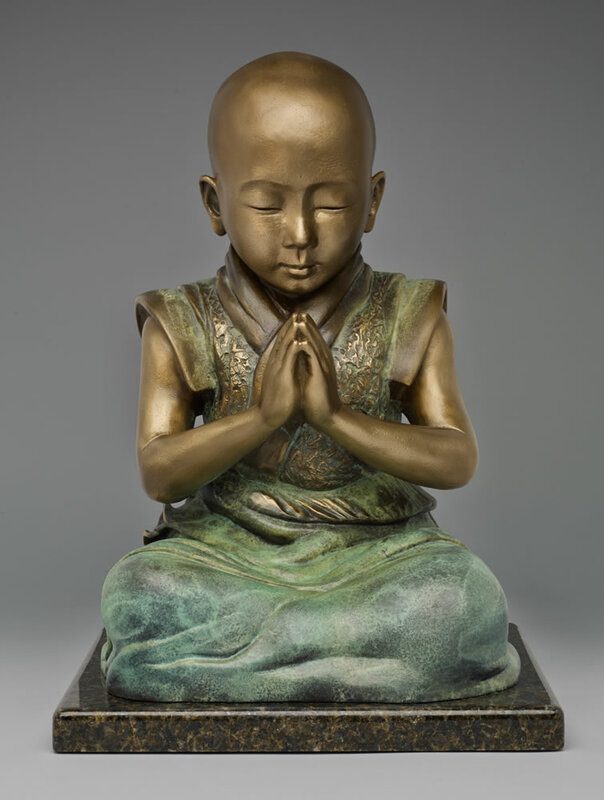 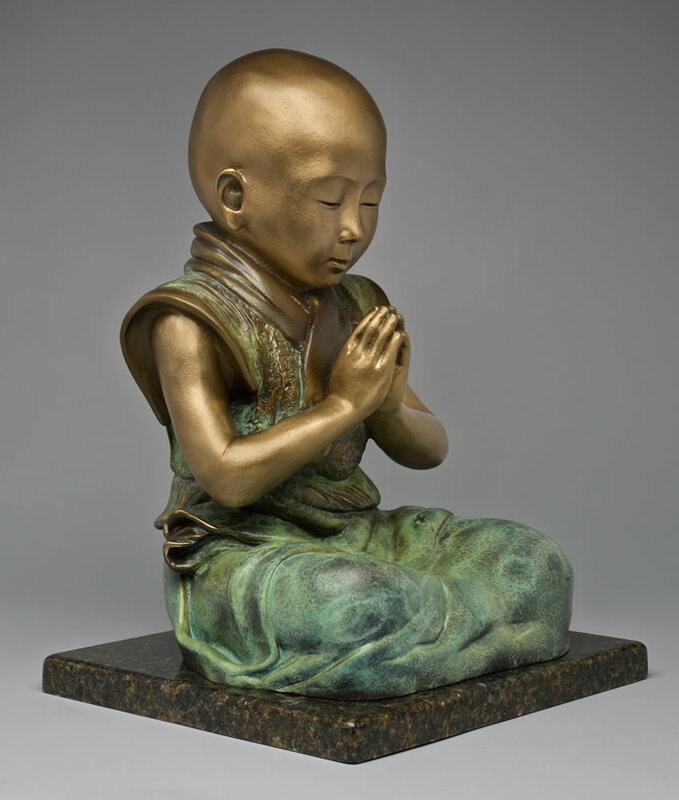 This sculpture was inspired by the disciplined practice of Tibetan monks who devote themselves to spiritual studies at a very young age. 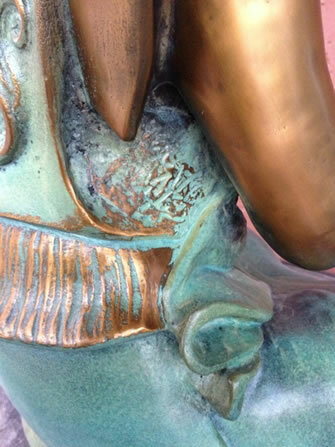 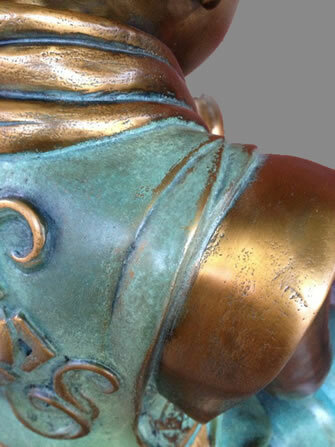 The Tibetan knot on the back of his robe is the Endless Knot representing longevity, harmony, love and devotion. 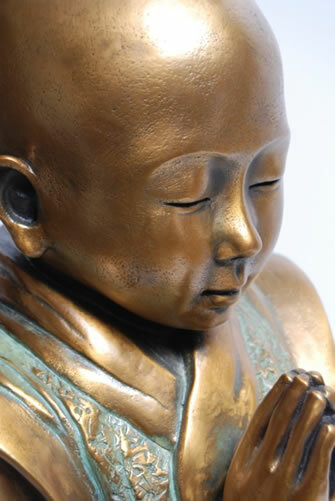 Baby Buddha embodies the innocence of pure devotion, taking you to a place of deep peace.